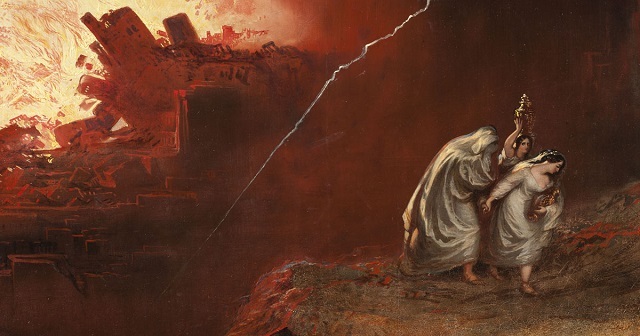 Literature regarding the Sodom and Gomorrah (S&G) narrative spans multiple testaments and bodies of ancient literature, receiving interpretation and narration in the Pseudepigrapha, Apocrypha, Josephus, and Philo, as well as the Old Testament. The purpose of this blog post is not to examine each reference in depth, but to provide a broad overview of the various references to the S&G narrative within Second Temple literature. Investigation of this topic in the Old Testament ought to be its own blog post (or even series). For our purposes, we will limit our analysis to the Apocrypha. Insofar as S&G is concerned, it seems most often that typology is employed by ancient writers to represent or illustrate a type of judgment, whether national or eschatological. This is usually by God or by a divine agent in God’s stead, and when such references are cited or alluded to by New Testament authors—Paul or others—it pushes modern readers to consider the nature of intertextuality and social context.1Cf. the Synoptic references (Matt 10:15; 11:23; Luke 10:12; 17:23), Paul (Rom 9:29), the general epistles (2 Pet 2:6; Jude 1:7), and Rev 11:8. By that, I mean that such allusions require us to place ourselves within the sandals of a first-century Jew and determine to figure out what her surroundings and assumptions about the world she inhabits are. Of course, a reference is not enough to elucidate the meaning of a citation on its own, but recognizing the original context helps illuminate the quotation from within and thus aids in our interpretation of the extraction within its renewed situation. The very nature of intertextuality demands that the original context and narrative of the citation or allusion be included in the new context. To fail to take this factor into account limits one’s ability to understand typology, intertextuality, and the nature of how the New Testament authors (among other ancient writers) understood their own narrative and holy books. Richard B. Hays writes, “Paul’s OT allusions and echoes frequently exemplify the literary trope of metalepsis. Metalepsis is a rhetorical and poetic device in which one text alludes to an earlier text in a way that invokes resonances of the earlier text beyond those explicitly stated.”2Richard B. Hays, The Conversion of the Imagination: Paul as Interpreter of Israel’s Scriptures (Eerdmans, 2005), 2. For standard literature on this subject, see Richard B. Hays.3Richard B. Hays, Echoes of Scripture in Paul (Yale University Press, 1993). Because we are over two thousand years removed from the complexities of Second Temple Judaism, all interpreters should begin with modesty. A New Testament writer is perfectly free to (re)interpret the S&G narrative to their own end, and where it can be demonstrated that this has been done, it should be accepted. Finally, this post is not meant necessarily to rebut specific interpretations of divine judgment, but rather to contextualize the allusions and quotations of the New Testament authors by placing them within their social sphere, Second Temple Judaism. The Apocrypha does not contain many explicit references to the S&G narrative. The bulk of the material is found in the Old Testament, which may be analyzed in a future blog post. Woe to you, Assyria, who conceal the unrighteous within you! O wicked nation, remember what I did to Sodom and Gomorrah . . .
Second Esdras is a highly symbolic and apocalyptic book, and this reference is quite similar to the one found in 3 Maccabees. Here, the writer uses S&G as a type to communicate a point: remember what happened. In prophetic literature, it is common for the prophets to point to previous important events in Israel’s story in order to illustrate a point. Here, it is no different. The justification of the assertion in v. 8 is found in v. 9, which states that S&G’s “land lies in lumps of pitch and heaps of ashes.” The ANE context regarding pitch is that it—in part—makes dragons explode (Bel and the Dragon, 1:27), can enliven an intense flame (Prayer of Azariah 1:27),4Widely considered to be an addition between Dan 3:23 and 3:24. and symbolizes a destroyed and desolate landscape (Isa 34:9). Thus in this text, S&G serves as an example of what happens to the wicked typologically when they are unrighteous: their land is reduced to nothing, and ashes litter everything in cataclysmic fashion. Restoration is nowhere to be seen. But the day of judgment will be the end of this age and the beginning of the immortal age to come, in which corruption has passed away, sinful indulgence has come to an end, unbelief has been cut off, and righteousness has increased and truth has appeared. Therefore no one will then be able to have mercy on someone who has been condemned in the judgment, or to harm someone who is victorious. Because of their ignoring the prophets and the multitude of witnesses, God concludes, “Therefore there shall not begrief at their destruction, so much as joy over those to whom salvation is assured” (v. 61). Wisdom rescued a righteous man when the ungodly were perishing; he escaped the fire that descended on the Five Cities. Evidence of their wickedness still remains: a continually smoking wasteland, plants bearing fruit that does not ripen, and a pillar of salt standing as a monument to an unbelieving soul. This is a very strong intertextual echo, as in the previous section Wisdom is referenced with the Tower of Babel in Genesis. In this text, Wisdom helped Lot escape the destruction of the five cities, and there is a memorial of their destruction as “a continually smoking wasteland” (v. 7). The pillar of salt is a reference to Lot’s wife. Thus, Wisdom of Solomon views Wisdom as being involved in the decimation of S&G, and the smoldering remains of what used to be a city showcase the wickedness of the people and their removal from the land of the living. For most evangelical Protestants, the Apocrypha is not considered canon. However, the value of the Apocrypha lies in the realm of history and social location. Because these texts were written within a largely Jewish context, they can illustrate trajectories and trends within the Second Temple period and help illuminate the thinking of the New Testament writers. 1. ￪ Cf. the Synoptic references (Matt 10:15; 11:23; Luke 10:12; 17:23), Paul (Rom 9:29), the general epistles (2 Pet 2:6; Jude 1:7), and Rev 11:8. 2. ￪ Richard B. Hays, The Conversion of the Imagination: Paul as Interpreter of Israel’s Scriptures (Eerdmans, 2005), 2. 3. ￪ Richard B. Hays, Echoes of Scripture in Paul (Yale University Press, 1993). 4. ￪ Widely considered to be an addition between Dan 3:23 and 3:24. 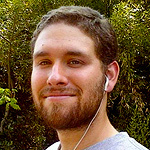 Nick Quient is a theologian, blogger and podcaster with an avid interest in the New Testament. He obtained his MA in Theology from Fuller Theological Seminary with an emphasis on Biblical Studies (New Testament), and his BA from Biola University. His current research interests (besides hell) include Paul and his theology, feminist and textual criticism, and the doctrine of Scripture. He is happily married to Allison, loves coffee, and and tweets almost constantly at @NickQuient.